Nintendo's wildly popular Pokémon franchise is one that has spawned games in a multitude of different genres. Aside from the basic flagship RPGs, there have been pinball games, fighting games, dungeon crawlers, and even a Pokémon game based around photography. 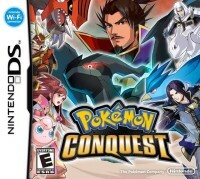 While some of the spinoff games have been good, none of them were truly great until the release of "Pokémon Conquest." Developed by Tecmo Koei, Pokémon Conquest is a tactical strategy RPG based on the Japanese folklore surrounding Oda Nobunaga who's credited for the steps ultimately leading to Japan's unification through the conquering of different lands. Followers of the developer, Koei, may also know that they specialize in games like Dynasty Warriors or Nobunaga's Ambition, a strategy RPG about the unification of Japan. Pokémon Conquest puts you in the shoes of a warlord who just took over his (or her, depending on whether or not you decide to be a male or female at the beginning) first kingdom with the help of his trusted Pokémon, Eevee. During the conquest, you meet Oichi, a girl who's down to help you conquer other kingdoms in the hopes of stopping a crazed general taking over territories in the north — a general named Nobunaga. Conquering kingdoms? With Pokémon? While it's hard to make sense of the two, it turns out that the developers made Pokémon Conquest one heck of a game. One of the reasons why Pokémon Conquest is so good is its accessibility. Turn-based tactics games aren't for everyone, mostly due to various situations and statistics ultimately affecting the tide of battle. To combat this, the game does a fantastic job of teaching players on the go. So while it might be an eye roll for strategy veterans to go through mandatory tutorials, the fact that they're all legitimate parts of the first few missions hardly makes them feel like a waste of time. As far as the more specific situations and statistics go, they're also a bit more simple in Pokémon Conquest. Unlike a lot of more advanced tactics games, as far as key stats go, only three modifiers matter: attack, defense and speed. 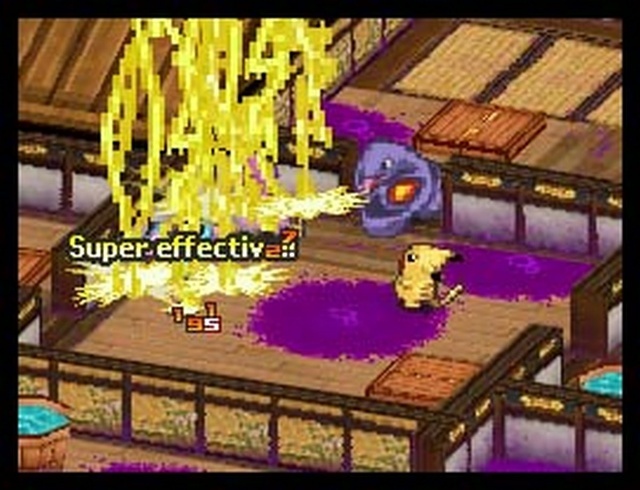 Attack affects the amount of damage a Pokémon can do; defense affects the amount of damage a Pokémon can take; and speed affects the accuracy of a Pokémon's attack as well as its ability to evade. Like the flagship Pokémon games, Pokémon get stronger after every battle, affecting all of their abilities. To further add to battles' simplicity, every Pokémon only has one attack, and that attack corresponds to the type of Pokémon they are. For example, Charmander uses Ember, which is a simple fireball maneuver. The rock-paper-scissors strength and weaknesses from other Pokémon games carry into Conquest, so if Charmander attacks a Pokémon that is a bug, grass or ice type, Ember will do double the damage, thus making the attack "Super Effective." The other Pokémon games have a Pokémon with up to four moves in its arsenal, so Conquest does away with the unpredictability. Since Conquest is a Pokémon game, the "gotta catch 'em all" mentality also rears its head into the game, but it isn't necessarily all about catching them all as it is about building your army. After conquering a kingdom, you have the options of going back to explore and fight battles with the opportunity of recruiting new generals to your army, or adding more Pokémon to your team. In order to recruit generals, you have to defeat them in battle in less than four turns, or win unscathed. In order to catch a Pokémon, or "form a link" in the game's terms, you have to complete a rhythmic minigame after choosing "link" as an action when your Pokémon is standing adjacent to the wild Pokémon. This is about as complicated as the game gets in battle, but once mastered, it's also one of the more interesting and satisfying aspects. Pokémon Conquest has 17 kingdoms to conquer on your way to conquest supremacy, each with its own strengths and weaknesses. The game really starts to turn up the heat after you conquer about eight of them, but by that time you'll already have a distinct knowledge of how to properly build your army, and the game only gets more addictive from that point on. Pokémon Conquest is a big game, and while the main story and 17 kingdoms can be conquered in about 20 hours, there is still lots to do. 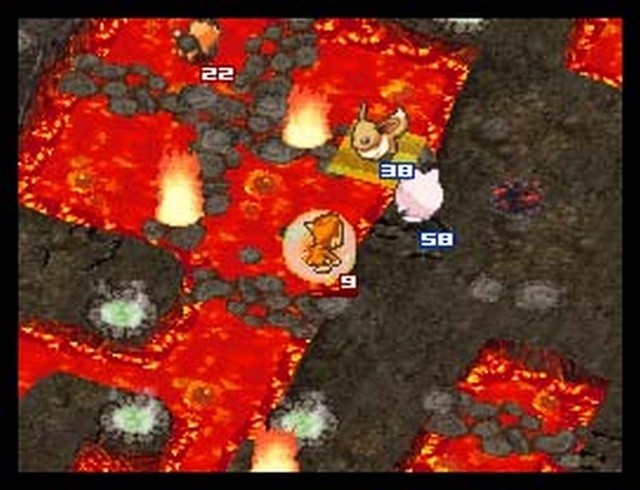 After the main quest, new challenges arise that start to make the game quite difficult. And like the rest of the games, the desire to recruit and catch all the Pokémon gives the game that much more replay value. Again, like other strategy games, the key never-ending feature is continuing to build your army until it reaches your expectation of perfection. On top of that, you can even download missions (episodes) online via the Nintendo Wi-Fi Connection. Most of them allow you to recruit warlords from kingdoms you've already conquered that you normally wouldn't be able to recruit, making your army that much stronger. As far as production value goes, it's acceptable. The warlords and characters aren't really memorable, aside from the occasional humorous dialogue featured here and there. On the other hand, the visual design works out well, and it gives the game sort of an isometric Fire Emblem look. 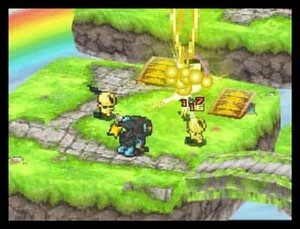 Bottom line is the game is colorful and sounds good, but nothing really extraordinary. The main reason why anybody should give Conquest a try is the fact that it's a different kind of Pokémon adventure, but it still stays true to the original style the flagship games convey. You still leave home to go on a journey by leaving your kingdom to go on a conquest. You still catch Pokémon by forming links with Pokémon. Defeating gym leaders showcases the skills you've learned much like conquering a kingdom showcases the skills you've learned. Don't disregard Pokémon Conquest as if it were some mystery dungeon or pinball game, because this one is a gem and is a great game to finally close the door on your DS with. Nintendo's wildly popular Pokémon franchise is one that has spawned games in a multitude of different genres. Aside from the basic flagship RPGs, there have been pinball games, fighting games, dungeon crawlers, and even a Pokémon game based around photography….